The U.S. economy is booming. So much so that 4 percent economic growth is possible in 2018, according to JP Morgan CEO Jamie Dimon. To the broadcast networks, that information was far less important than a freshman football star and a dog stuck on a train. As the Dow Jones Industrial Average neared the 20,000 mark for the first time in history, the index set 16 closing-day record highs since Donald Trump’s election. Even some liberal media outlets have drawn a direct connection between the soaring stock market and Trump’s election, going so far as to label it a “Trump stock market rally.” But the broadcast networks often ignored any connection, even going out of the way not to mention it. On Monday's CBS This Morning, Charlie Rose and Erica Hill touted Massachusetts Democrat Elizabeth Warren's past time as "the government's chief watchdog during the 2008 bank bailout" as she was brought on to discuss JP Morgan Chase's $2 billion loss. Rose and Hill asked all of their questions from the left, and completely ommited any mention of the recent controversy over Warren's claim of Native American ancestry. The anchor set up the Senate candidate to push for more regulations on banks without rebuttal: "It's appropriate to have some government oversight, and notwithstanding the fact that we're just coming out of this huge crisis." Hill even wondered if the banks themselves "should be broken up into smaller entities." 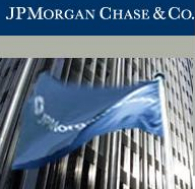 J.P. Morgan Chase is the second-largest U.S. bank, but its CEO spoke out on Nov. 13 to condemn the policy of bailing out banks which are "too big to fail." Jamie Dimon wrote in the Washington Post that even his bank should accept the risk of failure. "[I]f some unforeseen circumstance should put this firm at risk of collapse, I believe we should be allowed to fail," Dimon said. He argued that rather than limiting the size of banks and financial firms, failure should be a regulatory option. According to Dimon, regulators should be given "authority to facilitate failures," wipe out shareholders and unsecured creditors, fire management and liquidate assets. Dimon said this is better than the alternative: "This is challenging but worth doing. The alternatives, neither of which is acceptable, are to perpetuate the politically, economically and ethically bankrupt "too big to fail" idea, or to try to impose artificial limits on the size of U.S. financial institutions."